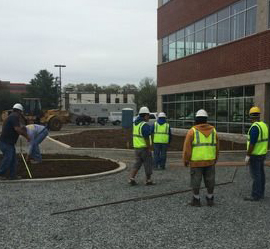 You can feel confident knowing that PNG Landscape Design, LLC has the experience necessary to get your job done promptly and efficiently. 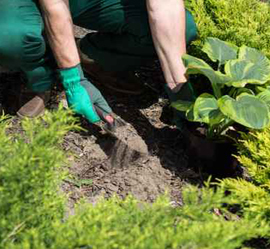 Our landscapers will work closely with you from the time of your estimate until job completion, to ensure that you get exactly what you have envisioned. 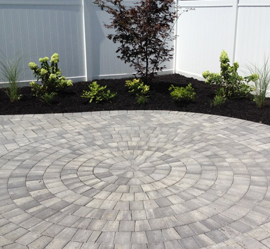 You can design, build or maintain the yard of your dreams with the services of PNG Landscape Design, LLC. With little more than a dream in his head, Nicola Gengaro began what is now PNG Landscape Design. Nicola Gengaro came from Italy in 1961. To supplement his income, he bought himself a 21 inch lawnmower and a weed whacker. With the help of his son Pasquale “Pat” he began maintaining local shopping centers. From there, over the years, PNG began residential lawn maintenance, as well. Their business continued to grow and grow. Several year later, his youngest son Leonardo “Lenny” came on board. Lenny has brought a whole new aspect to the business. His work includes full landscaping design, such as retaining walls, paver patios, ponds, fire pits, outdoor fireplaces and kitchens. After the sudden passing of Nicola in 1989, Pat and Lenny continued to grow their father’s business. 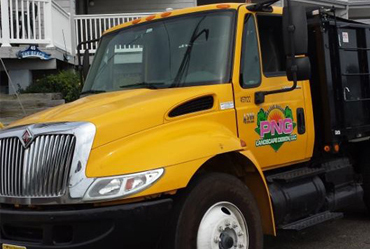 PNG Landscaping Design now maintains over 400 lawns and offers an array of services for both commercial and residential properties. PNG proudly announces we are highly capable of designing a project for you, or catering to your maintenance, now more than ever! With a extremely experienced staff of over 20 employees, extensive line of heavy duty equipment, our truck fleet and knowledgeable, meticulous crews, no design project is too large. Our owners and estimators work side by side with customers to ensure their happiness and satisfaction during and after their projects are held to the highest standard. We proudly maintain over 500 of the happiest of lawn care customers in the ocean county area. 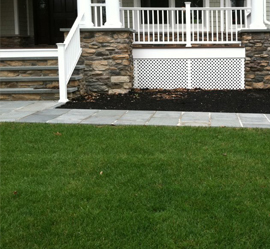 We have strong experience in designing and building projects covering New Jersey. Commercial or residential design and build projects, lawn care, fertilization, and maintenance services are cared for equally and efficiently. PNG takes the lead of our competitors in all areas of customer service. Allow PNG to begin catering to your landscape or hardscape services and experience our capability and love for our craft!